And now it is time to reveal the runner-up on my alphabetical list of 100 Essential CD’s and it is one that would register blank looks from most readers. It is, however, a combination of two albums released in 1976 and 1978 which are two of the most creative, original and exciting albums of the Disco Era. 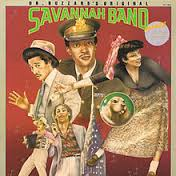 It managed to effectively combine the sounds of the 30’s and 40’s- the Cotton Club and the Golden Age of the Hollywood Musical with a street-wise New York in the 70’s sound. At the time it wasn’t as successful as it should have been. The Disco Sound was not at its peak of commercial success of the “Saturday Night Fever” years where everyone from Rod Stewart to Ethel Merman were producing disco tracks. In the UK the chart success of a track was still largely dependent on its inclusion on a Radio 1 playlist and I never heard this group upon the radio. It did have influence, however, as artists such as Donna Summer, Odyssey and Manhattan Transfer had hits built upon this sound and it also has lasting influence which I will come back to. 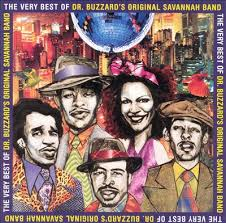 In 1976 I read a review of a new album “Dr Buzzard’s Original Savannah Band” in “Blues And Soul” magazine. It was probably the first time that I ever wanted something based on reading a review (an everyday occurrence now) so I saved up my pocket money, had to order it from my local record shop who did not have it in stock and this album has given me so much pleasure throughout the years. Although my vinyl collection was disposed of over the years I have held on to my vinyl copy of this album. Everything about it is so right –the concept, the packaging, the artwork, the music. I remember at the time it causing quite a furore in “Blues And Soul” with soul purists writing in to complain that this music which was upbeat, technically polished as well as looking back to a different era was not Soul Music and it certainly wasn’t Soul Music as it was known then. However, in the 2000 publication of “Soul- 100 Essential CDs – The Rough Guide by Peter Shapiro (Penguin) there amongst its pages, alongside Aretha, Stevie, James Brown et al is this debut album from this Bronx, New York outfit. It was the brain-child of two half-brothers Stony and Thomas Browder. Thomas at the time was known as August Darnell and later metamorphosised with greater lasting commercial success into Kid Creole who with his Coconuts are still recording and headlining performances forty years later with a similar, if slightly diluted sound but what made this album stand out for the crowd was not just its concepts, its in-jokes, its whole creation of a whole other world, which makes the casual listener wonder if they have strayed into some kind of parallel universe but it’s because of the voice of the lead vocalist- one of the most under-rated female singers of all time- Cory Daye. This debut reached 22 in the US Charts and a single taken from it reached 27. The buzz was great and there was critical acclaim. 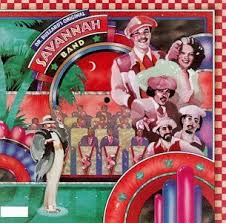 In those days you had to be pretty nifty with the follow-up and unfortunately there were a couple of years before the next album “Dr Buzzard’s Original Savannah Band Meets King Penett”. Now who could resist a sound like that? Misogynistic? But how about if those words are delivered by a woman, in a voice which gives the purity and honesty of the vocals of Sarah Vaughan and Ella Fitzgerald a run for their money. Welcome to the world of Dr Buzzard and “for misery my friend, Cherchez La Femme”, sung with a smile and an arch campness. This is the track that Gloria Estefan chose to cover on her excellent 1994 “Hold Me Thrill Me Kiss Me”. In the cover notes she states “I got a real kick out of singing this one”. Cory’s voice, one moment coquettish and innocent, the next knowing and embittered makes the original the superior version. The kitsch ration is upped even more for “Sour And Sweet”, the album’s second out and out gem with its “Doo-Wa-Doo” introduction and great interplay between Cory and the male voices. There is such huge charm in this track and amazingly for a charming track it never cloys. It sounds simple and singalong, and is perhaps the most danceable track on the album, but is actually really quite a complex little number with different rhythm patterns and exemplary vocals and should things seem like they’re getting too commercial it becomes distinctly funky for a “there’s lemon in the honey” chant and the 40’s big band sound is supplemented with sweeping synthesizers for a sublime fade-out. The third gem has one of the most beautiful introductions on record and is a shuffling, downtempo affair. “Hard Times” is an out and out love song when the odds are stacked against the love. Cory delivers a beautiful, floaty vocal in a song which stops, starts, regroups and is just magnificent. Queen Latifah also obviously thinks so as she covered this track on her 2004 “Dana Owens Album “ and does a good job without eclipsing the original. It’s also a song that ends too soon with everyone just upping a gear before the fade. At time of writing this CD can be purchased from Amazon.co.uk for £11.57 new and used from £2.91. It can be downloaded for £6.99. American listeners can buy new from $4.99 and used from $3.50 and as a download for $8.99. In the UK it is available to stream from Spotify. 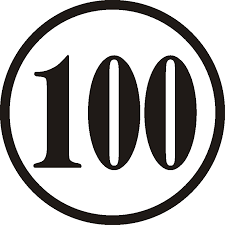 This entry was posted in 100 Essential, Music and tagged August Darnell, Cory Daye, Dr Buzzard, Dr Buzzard's Original Savannah Band, Kid Creole, Stony Browder. Bookmark the permalink.